Ep. 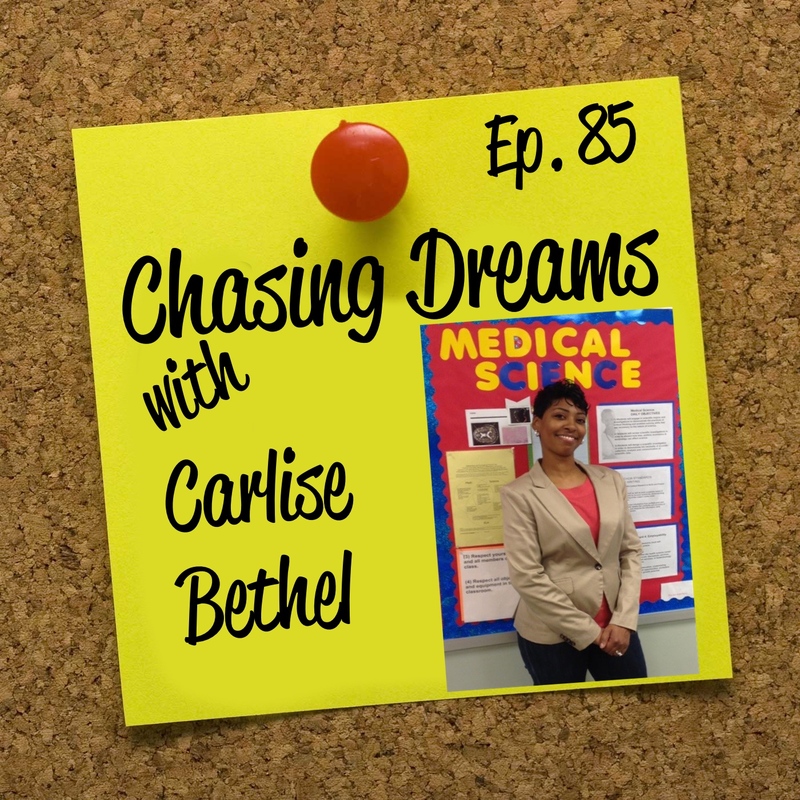 85: Carlise Bethel – Sharing Her Teacher-y-ness on Transitioning and Getting Through Difficult Moments | Aimee J.
Dr. Carlise Bethel is the first African-American to graduate from University of Maryland Baltimore County with a Ph.D. in Molecular and Cell Biology. She has worked and received many accolades in the field of cancer research. After taking a non-conventional path after her Ph. D., she is five years into her career in teaching biology and health professions classes at a high school in Prince George’s County, Maryland. Carlise is married and the mother of two kids, and a personal friend and mentor of mine. Join me to hear her story! Have you experienced those moments of confusion and uncertainty about your future? You know, those times when it seems like everyone else seems to know exactly what they want to do with their lives, and you are the one who “doesn’t have a clue.” Carlise shares how this experience affected her life, and how taking a developmental biology class literally changed the course of her life. This was where “it all came together.” Working in the lab led her into the Ph.D. program and the Meyerhoff graduate program. While completing her research, she got married and went on to have two kids. Listen to Carlise’s advice about finding other options and reconnecting with what you LIKE to do. Does everyone experience transitions? Of course we do; it’s just that some of us don’t recognize them while going through them. Carlise shares how relating to people and connecting with others can make you feel less isolated and alone. Everyone goes through lulls, but getting support and building a mentor network can make all the difference. One of the big keys is to build your toolbox with resources you can turn to when things seem to stall out. This is how to stay grounded and connected during a transition time. As a teacher, moments come when you enjoy what you do; it’s those times when your students “get it.” Carlise shares a personal story about her students creating a lasting resource from which they keep on learning. The beauty is that they worked and learned together to find deeper understanding. Teachers have to develop this learning culture in the classroom and give students the freedom to make mistakes and offer ideas freely. [20:45] From Ph.D. to the next career path: high school teacher?? [21:05] Another transition ahead for Carlise? [41:00] Would you change, re-do, or restart anything?